This week we had the pleasure of visiting Jen Wright of Inky and the Beast to learn how to hand print our very own letter pressed Christmas Cards! Jen printed our beautiful ‘Drink Coffee in the Woods’ postcards to help promote the launch of our Woodland Blend coffee earlier this year; we’ve been hoping to work together again ever since and Christmas card printing seemed liked the ideal opportunity. Jen works out of a bright and airy studio at the end of her garden in Epsom, Surrey. 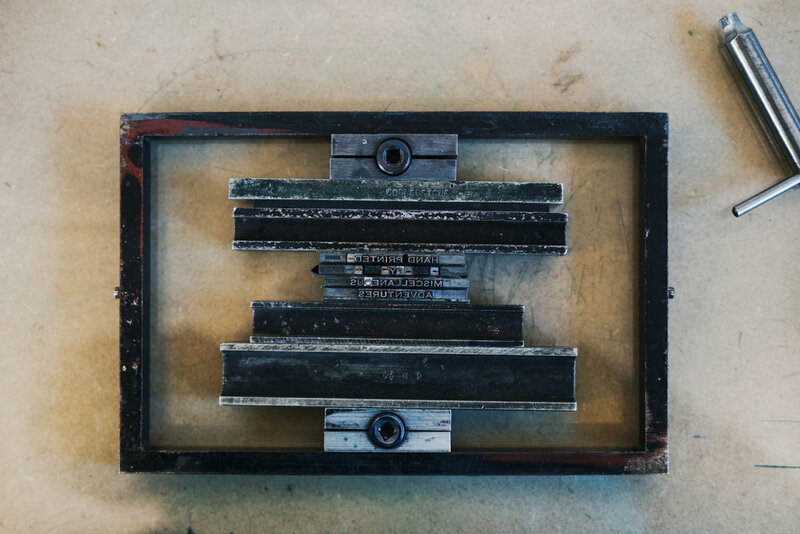 The studio houses the ‘Beast’ a half ton, 1950’s Vicobold printing press and two smaller Adana presses. 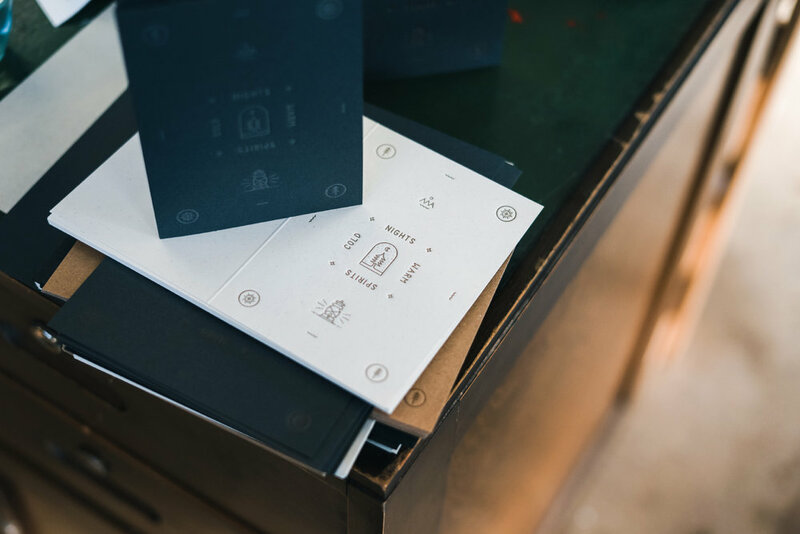 It’s from here that she teaches letter press workshops as well as creating her own line of sustainable stationery. Throughout the the morning Jen introduced us to both printing presses. We printed the front of our cards in gold and silver ink using the Vicobold. Our design had been transferred to a raised plate used to impress the image onto the card. 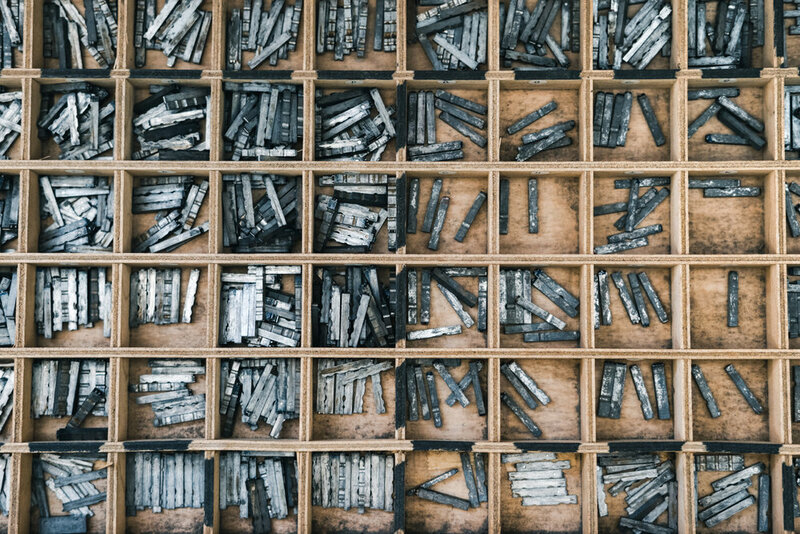 Ink is added to give colour and the resulting print has a beautiful, deep debossed finish. 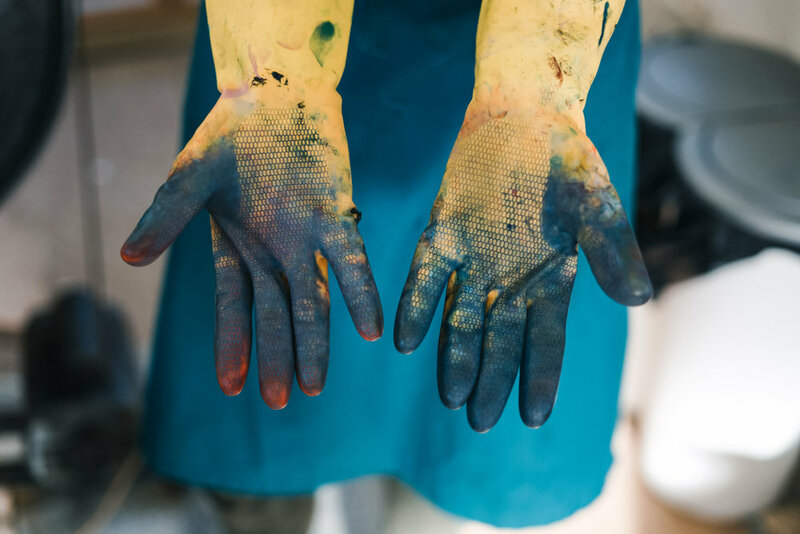 The ‘beast’ was initially a little intimidating with lots of clanking and whirring but Jen’s relaxed and confident teaching meant we were happily printing away in no time and before we knew it we’d produced a very satisfying pile of finished prints. Jen then taught us how to typeset using lead type and a ‘chase’ after which we used the Adana to blind deboss the reverse of each card. We had such a great time learning how to use the presses and are stoked with the resulting cards. Huge thanks to Jen for her warmth and enthusiasm (and the coffee and pastries), we can’t recommend her workshops enough. Stay tuned for more from Jen in our ‘Give Less, Give Well’ gift guide which we will be launching next week! For details on available dates and prices, see the Inky and the Beast website here. Our Christmas Cards can be purchased in packs of three over on our store here.